Looking over videos on youTube, we've found a video by sjm4306 and we think it is very interesting. 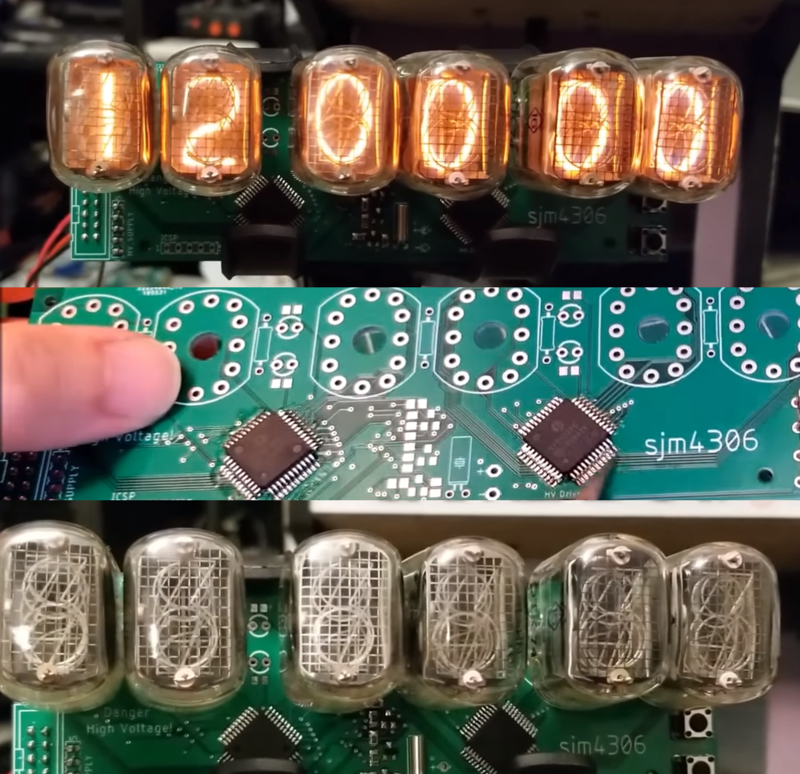 He designed a 6 digit clock that uses nixie tubes. If you don't know what that is, well it's a glass tube that contains a wire-mesh anode and multiple cathodes, shaped like numerals or other symbols. Applying power to one cathode surrounds it with an orange glow discharge. The tube is filled with a gas at low pressure, usually mostly neon and often a little mercury or argon. So it is very easy to show numbers using this tubes. sjm4306 designed the board and it looks quite good. It is based on a PIC microcontroller and two HV5122 drivers for the tubes. The clock could show hours, minutes and seconds. To set the numbers, the board uses two 32bit shift register, the HV5122, in series so the data out from one is the data in to the second. These drivers are high voltage and could handle up to 225V. One problem? The SPI port that this ICs are using to comunicate won't work well at logic level of 5V. So he had to create some voltage lever shifters with BJTs in order to send data to the chips. With these NPN transistors he was able to send 12V pulses to the chips. On the back of the baord there is an 8bit microcontroller, a PIC16F886 that will control everything. By control I mean sending the signals to the drivers and by that show the time. THe board also has some push buttons so the time could be set very easy. To have real time, he used the DS1302 integrated chip which is a real time clock or RTC. On one corner, he used an eBay module to get from 5V to 170 volts required. It is a bit dangerous, but I bet that he will also design a case for this clock. So that was it. 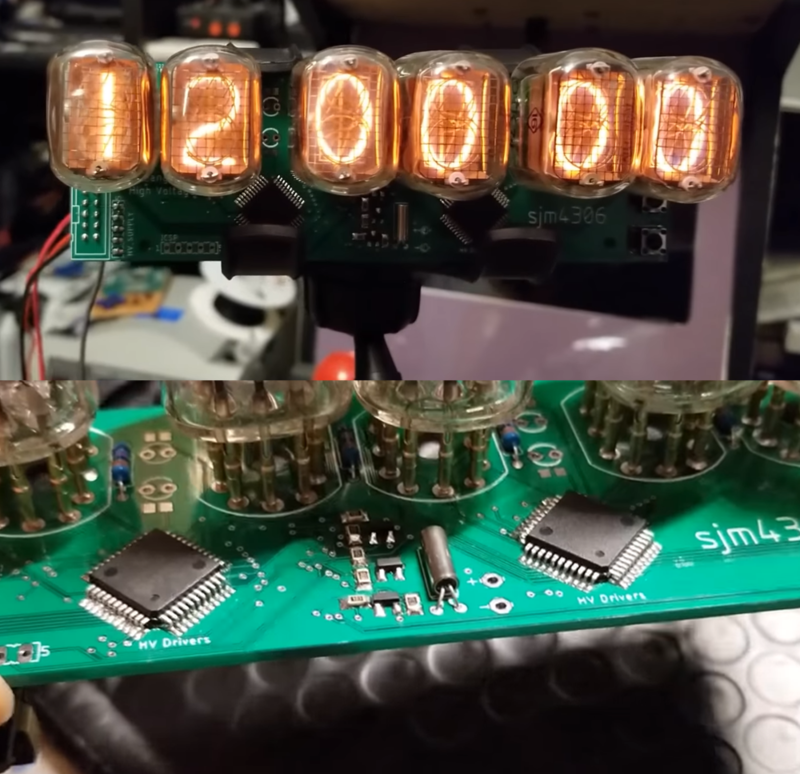 The board made for a nixie tube clock. See more on his Youtube channel here sjm4306. 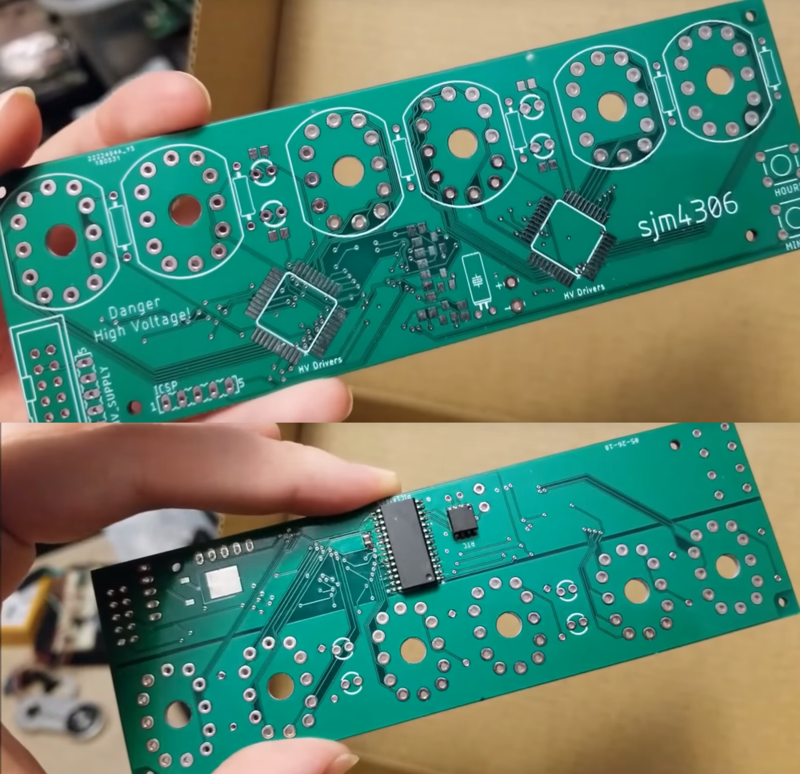 And if you want to order boards yourself, use our sponsor services JLCPCB.